I prefer a more likeable main character, but it was still suspenseful. A must read if you enjoy a good mystery. I couldn't put it down and I loved the ending. Several of the other reviewers mention that the book starts off slow. I disagree. I think the beginning pace was perfect to develop the characters. The book was engaging from the beginning and kept one involved listening till the end. The fact that the main character had so many flaws but was still strong was inspiring. Good book. I was frustrated by Lo's stupidity at times. In the end it paid off. Good story. I found it a little predictable but still kept me engaged. It is difficult for me to rate this book because the narration is so awful I never reached a point where I could enjoy or be taken in by the story. The accents made me giggle and the attempts at masculine characters sounded muffled and again quite comical. 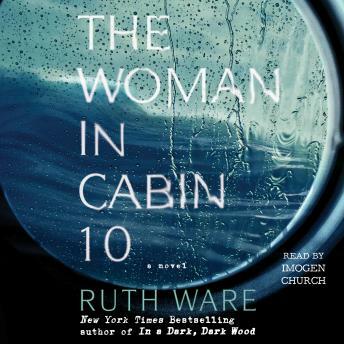 It is a suspense filled story that I believe is quite good, but save your audio credit and read this one for yourself. Loved the narration! It was a great story too, just when I thought I had it all figured out I was way off! I enjoyed the book, the story was quite interesting and I looked forward to it. The main character was annoying however; always self deprecating and making obvious mistakes that could compromise her safety. Great read aside from my mild dislike for Lo who tended to annoy me, making it really difficult to connect with her character. However, the story and the plot had me guessing up until the end. The narrator is by far one of my favorites ever since The Death of Mrs. Westaway. Her voice and her ability to make each character sound different is fantastic. Recommended read indeed! I agree with other readers, I didn’t like the main character until her empathy toward the end of the book, before that she seemed to whine a bit too much and not able too cope too well, but you do learn a bit about that later in the book. Good suspense, that was enjoyed.